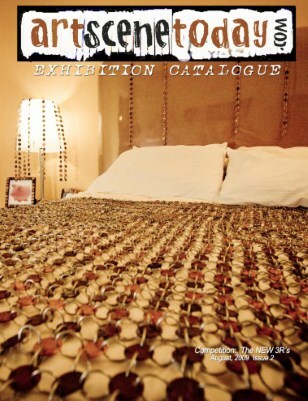 Exhibition Catalogue of artscenetoday.com international juried competition. THEME: The NEW 3R's...recycling...repurposing...reusing. Art that uses found objects, gives new life to old things or makes us look at everyday stuff in a different light. Winners and finalists from the U.S. and around the world.